Ronald Adler has practiced and taught Family Medicine at UMass Medical School for 25 years. His interests include women’s health, Quality Improvement, Behavioral Health integration, shared decision-making, and reduction of waste with an emphasis on avoiding overdiagnosis and overtreatment. His first book, Cancer Screening Decisions: A Patient-Centered Approach, will be published this fall. His breadth of experience includes teaching in the Peace Corps in Sierra Leone and serving as Medical and Education Director of a Family Medicine residency training site. Residents have selected him as Teacher of the Year numerous times. Dr. Adler trained as an Improvement Advisor at IHI, in preparation for his role as Director for Primary Care Practice Improvement through the Center for the Advancement of Primary Care at UMass. He has created and led improvement initiatives that have focused on diabetes, hypertension and CAD. Twenty practices and nearly 20,000 patients have participated in these programs. He has also led local and state-wide initiatives to transform practices into Patient-Centered Medical Homes. He currently leads recruitment and engagement activities for the Southern New England Practice Transformation Network, part of the CMS Transforming Clinical Practice Initiative. Dr. Adler is co-founder of Care That Matters, a coalition of health care providers committed to facilitating the provision of health care that improves the lives of patients -- no more and no less. Thus far, Care That Matters has focused on quality measures in health care, especially primary care. They have articulated and are testing a rubric for evaluating quality measures. Dr. Adler is co-founder of Care That Matters, a coalition of health care providers committed to facilitating the provision of health care that improves the lives of patients — no more and no less. Thus far, Care That Matters has focused on quality measures in health care, especially primary care. They have articulated and are testing a rubric for evaluating quality measures. Michael S. Barr is a board-certified internist and Executive Vice President for the Quality Measurement & Research Group at NCQA. His portfolio at NCQA includes performance measurement development, research, managing NCQA’s contracts and grants portfolio and contributing to strategic initiatives, public policy and educational programs. 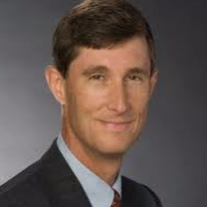 Prior to joining NCQA in May 2014, Dr. Barr was Senior Vice President, Division of Medical Practice for the American College of Physicians, where he was responsible for promoting patient-centered care through the development of programs, services and quality improvement initiatives for internists and other health care professionals. From 1999–2005, Dr. Barr was chief medical officer for Baltimore Medical System, Inc., a Joint Commission accredited federally-qualified health center. He practiced internal medicine full-time in the Division of General Internal Medicine at Vanderbilt University from 1993–1998 and held various administrative positions, including physician director, Medical Management Programs, for the Vanderbilt Medical Group. From 1989–1993, Dr. Barr was an active duty physician in the United States Air Force at Moody Air Force Base, Georgia. Eric B. Bass, MD, MPH, FACP, is a Professor of Medicine with joint appointments in Health Policy and Management, Epidemiology, and Nursing at the Johns Hopkins University. He is an expert in evidence-based medicine and health services research, and is devoted to assessing the effectiveness, safety, and costs of medical and surgical management strategies. He has been a Director of the Johns Hopkins Evidence-based Practice Center since 1997. He was the Director of the General Internal Medicine Fellowship for 15 years. He enjoyed a 5-year term as the Editor of the Journal of General Internal Medicine, and was the founding Editor-in-Chief of a journal dedicated to community-based participatory research called Progress in Community Health Partnerships. He continues to be a practicing general internist. He was honored to serve as the President of the Society of General Internal Medicine (SGIM) in 2013-2014, and became the part-time CEO of SGIM in September 2017. Dr. Baxley is a Professor of Family Medicine and serves as the Senior Associate Dean for Academic Affairs at the Brody School of Medicine at East Carolina University, with a portfolio that includes Admissions, Student Affairs, UME, Academic Counseling, GME, CME, Faculty Development, Diversity and Inclusion, and Simulation. She also chairs the school’s physician compensation plan committee and is involved in plans to move toward a model of greater clinical integration between Brody School of Medicine and Vidant Medical Center Dr. Baxley is PI on a grant from the American Medical Association to participate in their Accelerating Change in Medical Education initiative, which involves implementing curriculum in health system science. Previously, Dr. Baxley spent 18 years at the University of South Carolina School of Medicine, serving as Department Chair from 2003-2012. Before that, she was at Indiana University School of Medicine and at Anderson Family Practice Residency Program. Dr. Baxley’s work has focused heavily on health care delivery system redesign. She has a keen interest in improving care through use of the model for improvement and empowerment of front line clinical staff to work in a coordinated fashion, focused on the patient and family, as well as community health, needs. She has co-directed three regional academic collaboratives (I3 Collaborative) of primary care teaching practices. She was a contributor to the Educational Principles of the Patient Centered Medical Home and served as Co-Chair of the Education and Training Task Force for PCPCC. Dr. Baxley currently serves as the Chair of the American Board of Family Medicine. Andrew Bazemore is a practicing Family Physician and the Director of the Robert Graham Center, which he joined in 2005. He oversees and participates in the Center's research with a particular interest in access to care for underserved populations, health workforce & training, and spatial analysis. Dr. Bazemore has authored over 150 peer-reviewed publications, while leading the Center's emphasis on developing tools that empower primary care providers, leaders, and policymakers. This is exemplified in his efforts to create and grow geospatial tools that foster access, visualization, and effective of use data to inform planning and policy. Prior to joining the Center, he was a member of the Faculty for the University of Cincinnati’s Department of Family Medicine, where he completed his residency training and fellowship, and where he remains an Associate Professor. Dr. Bazemore also serves on the faculties of the Departments of Family Medicine at Georgetown University and VCU, and in the Department of Health Policy at George Washington University School of Public Health. He practices weekly and teaches students and residents at VCU-Fairfax Family Medicine Residency program. Dr. Bazemore received his BA degree from Davidson College, his MD from the University of North Carolina, and his MPH from Harvard University. He is an elected member of the National Academy of Medicine(NAM), and appointed member of the federal Council on Graduate Medical Education (COGME). Professor of medicine (Division of General Internal Medicine) at the Johns Hopkins School of Medicine with a joint appointment in the Bloomberg School of Public Health and Berman Institute of Bioethics. I completed medical school and internal medicine training in New York (Mount Sinai School of Medicine) and a General Internal Medicine and Greenwall Fellowship in Bioethics and Health Policy, during which time I worked as a legislative fellow in the office of Senator Clinton. I currently direct a research program using qualitative and quantitative methods to understand and improve patient-clinician communication, particularly for underserved primary care populations, HIV care and the care of persons with sickle cell disease. Christine Bechtel is a long-time consumer advocate and the President X4 Health, a purpose-driven organization working to accelerate the quadruple aim in health care – better health, better care, lower costs, and better experiences for patients and health care professionals. Bechtel co-founded and coordinated the first year of the groundbreaking GetMyHealthData campaign, an initiative that documented what happened when consumers across the country used their HIPAA rights to request their health data in electronic formats. She was appointed by the GAO as a consumer representative to the federal Health IT Policy Committee for six years, and she currently co-chairs the Center for Patients, Families and Consumers at the Patient-Centered Primary Care Collaborative (PCPCC). Christine also works on SMARTCare- a cardiology-focused CMS Innovation project that is leveraging health IT to reduce health care costs, foster patient engagement and improve health outcomes for people with heart disease. An avid golfer, she lives in Olney, Maryland. Dr. Berman is also founder and president of The Institute for Integrative Health, a not-for-profit organization whose purpose is to catalyze new ideas in health care and focus on the promotion of health. He serves on the McCormick Science Institute’s Advisory Board and the NFL Players Association Pain Strategy Working Group. He has previously served on the National Pain Strategy Professional Education and Training Working Group, the American Pain Society Task Force on Complementary and Alternative Medicine, the NIH/NCAAM Advisory Board, and many others. In addition, Dr. Berman is a family physician and pain management specialist. Dr. Bernot has over 15 years of experience in healthcare sector. He has specialized expertise in healthcare quality measurement and health information technology while remaining a practicing family medicine physician. At the National Quality Forum (NQF), he is involved with numerous initiatives, including prioritizing quality measurement efforts, improving diagnostic quality and safety, evaluating the clinical impact of interoperability, and empowering physicians with tools to overcome social determinants of health. He also directs the Measure Applications Partnership Clinician Workgroup, which evaluates quality measures for two federal payment programs, the Medicare Shared Savings Program (MSSP) and the Merit-based Incentive Payment System (MIPS). He earned his medical degree from Ohio State University College of Medicine in Columbus, and completed his family medicine residency at Wake Forest Baptist Health, Winston-Salem, North Carolina. He is a part-time practicing family physician at Wake Forest Baptist Peace Haven Family Medicine Clinic in Winston-Salem. Prior to his clinical training, he served as the Vice President of Product Development and Information Technology for the Quality Indicator Project, a subsidiary of the Maryland Hospital Association. Since 1992 I have focused on defining goals for health and well-being of patients and the population, health care and public health performance related to advancing these goals and measurement methods to both engage and inform patients, payers, providers and communities as well as to link measurement of performance and outcomes to policies related to training, maintenance of certification, pay for performance and public reporting. Early work included in depth focus group and patient qualitative research to define the original Consumer Assessment of Health Plans and Providers Survey for Children and Children with Chronic Conditions; as well as a series of primary care related measurement sets (that create a person centered profile of performance and provider/system index of performance) related to: (1) 14 highest costs chronic conditions in adults and children and (2) well child and well adolescent visits to promote the healthy development of children, youth and families. My work has included co-developing and serving as Senior Vice President of the Foundation for Accountability (1996-2003), which represented 80 million covered lives and provided measurement methods for payers (CMS, AFL-CIO, FEHB and numerous consumer and business organizations). I have worked closely with NCQA, NQF and health plans, providers and patient/consumer groups to advance “Patient-Centered Quality Measurement and Improvement” IT-based methods. Finally, recent work has explored measurement of flourishing and social and emotional determinants of health and links provider/system-patient/consumer relationships — with a focus on promoting mindfulness-based quality improvement and relationship-centered care. I am a professor at Johns Hopkins Bloomberg School of Public Health and serve as the founding director the Child and Adolescent Health Measurement Initiative, the Data Resource Center for Child and Adolescent Health and the emerging Center for Family Centered Quality Measurement and Improvement. Arlene S. Bierman, M.D., M.S., is director of AHRQ’s Center for Evidence and Practice Improvement. Dr. Bierman is a general internist, geriatrician and health services researcher whose work has focused on improving access, quality and outcomes of health care for older adults with chronic illness in disadvantaged populations. She has also developed strategies for using performance measurement as a tool for knowledge translation, and conducted research to increase policymakers’ uptake of evidence. As tenured professor she held appointments Health Policy, Evaluation, and Management; Public Health; and Medicine; and Nursing at the University of Toronto, where she was the inaugural holder of the Ontario Women's Health Council Chair in Women's Health and a senior scientist in the Li Ka Shing Knowledge Institute at St. Michael's Hospital. She was principal investigator for the Project for an Ontario Women’s Health Evidence-Based Report Card (POWER) study, which provided actionable data to help policymakers and health care providers improve health and reduce health inequities in Ontario. Dr. Bierman has served on many advisory committees including the Geriatric Measurement Advisory Panel of the National Committee for Quality Assurance, the boards of Health Quality Ontario, and the National Center of Excellence National Initiative for Care of the Elderly (NICE). She received her MD degree from the University of North Carolina School of Medicine in Chapel Hill where she was a Morehead Fellow. She completed fellowships in Outcomes Research at Dartmouth Medical School, and Community and Preventive Medicine at the Mount Sinai School of Medicine and also served as an Atlantic Philanthropies Health and Aging Policy Fellow/American Political Science Foundation Congressional Fellow. Asaf Bitton is the Director of Primary Health Care at Ariadne Labs, a joint innovation center at Brigham and Women’s Hospital and Harvard T.H. Chan School of Public Health. He leads Ariadne’s efforts on the Primary Health Care Performance Initiative, a joint effort with the Bill and Melinda Gates Foundation, The World Bank, and the World Health Organization. This initiative aims to measure in both traditional and novel ways primary care functions and performance within low and middle income partner countries, with the goal of understanding variation in performance and tailoring improvement initiatives to address and narrow performance gaps. He also leads Ariadne’s primary care improvement efforts in Estonia around risk-stratified care management, as well as other projects in Ghana, Costa Rica, and India. He is an assistant professor of medicine and health care policy at the Division of General Medicine at Brigham and Women’s Hospital and the Department of Health Care Policy at Harvard Medical School, and is a member of the Harvard Medical School (HMS) Center for Primary Care. He has studied extensively the dissemination and outcomes around the patient-centered medical home (PCMH) in the United States. He practices primary care internal medicine at Brigham and Women’s Hospital at their South Huntington medical home practice in Jamaica Plain, MA. In addition, he serves as a senior advisor at the Center for Medicare and Medicaid Innovation for the Comprehensive Primary Care Plus Initiative, an 18-state multi-payer effort matching payment reform to sustainable primary care transformation for nearly 3000 practices. Alexander Blount, EdD, is Professor of Clinical Psychology and Co-Director of the Center for Behavioral Health Innovation at Antioch University New England where he leads new Major Area of Study in Behavioral Health Integration and Population Health. He maintains an appointment as Professor of Family Medicine and Psychiatry at the University of Massachusetts Medical School where he founded the Center for Integrated Primary Care. Of his 40+ years as a clinician, trainer, and administrator, he spent almost half as a behavioral health clinician in primary care, practicing as part of primary health care teams and teaching family medicine residents and psychology trainees the skills and routines of integrated primary care. His books include Integrated Primary Care: The Future of Medical and Mental Health Collaboration. He is past Editor of Families, Systems and Health, published by the American Psychological Association. He is a member of the National Integration Academy Council. He is currently leading a statewide effort to build the primary care behavioral health workforce in New Hampshire and consulting with state and local organizations on implementing integrated primary care. He is writing a book with the working title of Team-Based Patient Centered Primary Care: The Leap from Good to Great on contract to Springer. Ms. Shuemaker is the Senior Clinical Informaticist in Performance Improvement at VCU Health System in Richmond, Virginia. In her current role, she is the in-house electronic clinical quality measure expert ensuring the organization’s electronic quality measure program is prepared to meet federal regulatory requirements. She earned Bachelor degrees from Auburn University and The University of Central Florida, and is currently pursuing a Masters in Health and Medical Informatics at Brandeis University. She is Lean Six Sigma Green Belt certified, a Certified Professional in Health Information Management Systems, and has served on several regulatory health IT task force panels, including CMS, ONC, VSAC, and TJC related to electronic clinical quality measures. 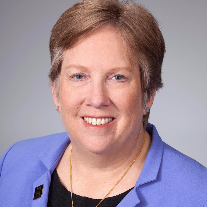 She was awarded the 2016 HIMSS Foundation Richard P. Covert Award for excellence in health information technology management systems, and is the current Chair of the HIMSS National Quality and Safety Committee. I am a practicing pediatrician from Pasadena, California. I have spent the majority of my career in a quality leadership position in Kaiser Permanente where I oversaw quality and quality measurement for the Southern California region, an integrated health care system which cares for more than four million health plan members. I have recently “retired” after twenty years in this position, but I continue to work “part-time” as the Medicaid Medical Director and as the Health Plan Physician Advisor for Kaiser Permanente Southern California. I have been on a number of NQF committees related to primary care measures over the years, and I currently am the co-chair of the NQF Pediatric Measures Standing Committee. Fred is a Professor of Family Medicine and Community Health and Epidemiology at Dalhousie University in Halifax. His research interests lie in health services research in Primary Healthcare (PHC). 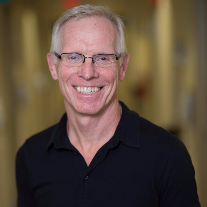 He is one of three co-leads on the CIHR funded PHC Innovation team known as “TRANSFORMATION”, a five year project focusing on the science of performance measurement in PHC. Of specific interest is improving primary care of those with advanced illness. Recently he led a large provincial mortality follow back study to examine unmet healthcare needs of the dying and co-leads a study to use EMRs to identify those at risk of dying for better care planning. He is committed to strengthening Primary Healthcare research in Canada by being a founding co-investigator on the team of "TUTOR-PHC" the first CIHR funded interdisciplinary training centre for Primary Healthcare research, as co-lead of the Collaborative on Research in PHC (CoR-PHC), a new interfaculty research initiative at Dalhousie University and as the science lead of BRIC-NS, Building Research for Integrated Primary Healthcare, the NS CIHR SPOR Primary and Integrated Healthcare Innovations Network. Dr. Casalino is the Livingston Farrand Professor of Public Health and Chief of the Division of Health Policy and Economics in the Department of Healthcare Policy and Research at Weill Cornell Medical College. Previously, he worked for 20 years as a full-time family physician in private practice in Half Moon Bay, California and as a tenured faculty member at the University of Chicago. He has published 125+ articles in peer-reviewed journals, including many articles in the New England Journal of Medicine, JAMA, and Health Affairs. He is the recipient of a prestigious Investigator Award in Health Policy Research from the Robert Wood Johnson Foundation. He has served on numerous national committees, as the chair of the Academy Health Annual Research Meeting, and as the John Fry Fellow at the Nuffield Trust in London. Dr. Casalino is a member of the Board of Directors of the Health Research & Educational Trust and of the American Medical Group Foundation and a member of the Committee on Research of the American Hospital Association. He recently completed two years of service as a senior advisor to the director of the Agency for Healthcare Research and Quality (AHRQ) and several years on the Board of the American Medical Group Foundation. He serves on the AMA Advisory Committee on Professional Satisfaction and on the Congressional Budget Office Panel of Health Advisors. In 2016, he was awarded the John A. Benson Jr. Professionalism Article Prize from the American Board of Internal Medicine. Megan Coffman joined the Robert Graham Center in February 2013 as the Health Policy Administrator. Her work includes qualitative research as well as project and grant management. Her research has focused on care management, teams, and telehealth all through the lens of primary care. Prior to joining the Robert Graham Center, Megan managed projects for educational and health nonprofits. She got her start in public health as a Peace Corps volunteer in Mauritania and Mali. In 2010, Megan received her Master of Science in Health Communication from Tufts University, and holds a BA in Political Science from Butler University. Dave deBronkart, known on the internet as e-Patient Dave, is the author of the highly rated Let Patients Help: A Patient Engagement Handbook and one of the world’s leading advocates for patient engagement. After beating stage IV kidney cancer in 2007 he became a blogger, health policy advisor and international keynote speaker. An accomplished speaker in his professional life before cancer, he is today the best-known spokesman for the patient engagement movement, attending over 500 conferences and policy meetings in fifteen countries, including testifying in Washington for patient access to the medical record under Meaningful Use. Dave’s TED Talk Let Patients Help went viral, and for years was in the top half of the most viewed TED Talks of all time with over a half million views. In 2012 the National Library of Medicine announced that it’s capturing his blog in its History of Medicine Division, and he was the Mayo Clinic’s 2015 Visiting Professor in Internal Medicine. Jennifer Edgoose completed her MD, MPH from Columbia University and her family medicine residency at the University of Washington. She practiced full-spectrum family medicine for over ten years at Community Health Care, a federally qualified health center in Tacoma, WA. Now an associate professor in the Department of Family Medicine and Community Health at the University of Wisconsin, she focuses her attention on care of vulnerable populations and strategies to promote health equity and community engagement. She founded and now chairs her department’s Diversity, Equity and Inclusion Committee and serves as a member of the Health Equity Team for Family Medicine for America’s Health. She is particularly interested in developing metrics of social accountability that will necessitate the development of processes and innovations to drive us toward high quality health and health care for all. Anne Edwards, MD, FAAP is Senior Vice President, Primary Care and Subspecialty Pediatrics at the American Academy of Pediatrics. Prior to this position, she was co-chair of Children’s Health Initiatives at Health Partners, the largest non-profit consumer governed health care organization in the nation, as well as chair of pediatrics at Park Nicollet Health Services, where she practiced inpatient and ambulatory general pediatrics serving an urban, immigrant community. Additionally, Dr. Edwards was a member of the board of directors for the Institute for Clinical Systems Improvement and St David’s Center for Child and Family Development. Previously having served on the American Academy of Pediatrics Vision of Pediatrics 2020 Task Force and as chair of the AAP Committee on State Government Affairs, she most recently co-chaired the AAP Task Force on Pediatric Practice Change and served as AAP District VI Vice-Chair. Dr. Edwards served on numerous Minnesota state initiatives including the MN medical home advisory committee, the Payment Reform Working Group for the MN Legislative Access Commission, the MNKids Integrated Depression System advisory committee, Autism in the Somali Community workgroup, and co-founded the MN Child Health Improvement Partnership. She participated as a member of the national CHIPRA Center of Excellence for Quality Measurement Development for Children with Special Health Care Needs based out of the University of Washington. She is a past president of the Minnesota Chapter of the AAP and served as the chapter’s policy committee chair. Her areas of interest include health care transformation, quality measurement, health disparities, cultural effectiveness in healthcare and advocacy. Dr. Edwards received her medical degree and completed her pediatric residency at the University of Minnesota, where she continues to maintain an adjunct faculty position. Dr. Edwards has received numerous awards, including the AAP Minnesota Chapter 2017 Child Advocacy Award, the 2015 Homer Venters Award for Excellence in Clinical Education and the Blanton Bessinger Child Health Advocacy Award. 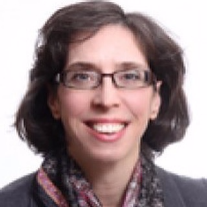 Rebecca S. Etz is a cultural anthropologist with expertise in qualitative research methods and design, primary care measures, practice transformation, and engaging stakeholders in research. 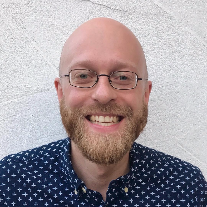 As a member of the VCU Department of Family Medicine and Population Health, and previous co-director of the ACORN PBRN, Dr. Etz is the Principal Investigator of several grants, contracts and pilots all directed towards making the pursuit of health a humane experience. Recent research activities have included studies in primary care measures, behavioral health, care coordination, preventive care delivery, cancer screening, care team models, organizational change; community based participatory research, the study of exemplars, and adaptive use of health information technologies. Dr. Nathan Favini is a primary care physician, innovator, social entrepreneur, and executive who currently leads efforts in clinical operations, quality measurement, provider performance and product design at Forward, a startup that leverages technology to realize dramatic and scalable gains in primary care quality, experience and outcomes. Founded by former Google and Uber executives and backed by well-known venture capital firms, Forward is bringing together world class tech and clinical teams to transform health and health care. Prior to joining Forward, Dr. Favini was Director of Primary Care at CareMore Health System. There he led CareMore’s efforts to develop high-value primary care programs across their Medicare Advantage plans. He built CareMore’s first primary care site—a well-being-oriented practice for Medicare/MediCal dual-eligible and high-risk members in Downtown Los Angeles—and led expansion of primary care across CareMore’s markets in several states. Dr. Favini’s previous work includes time as a Robert Wood Johnson Foundation Clinical Scholar and health services researcher at UCLA, where he studied health care organizational performance. A practicing general internist, Dr. Favini attended Harvard Medical School and completed his residency in Primary Care and Social Internal Medicine and Montefiore Medical Center in the Bronx. He holds a Masters in Health Policy and Management from UCLA. His publications have appeared in the Journal of the American Medical Association and the American Journal of Public Health. Prior to entering medicine he was a Peace Corps volunteer in Mozambique. Dr. Favini enjoys hiking, meditating and spending time with his wife and daughter. I am a health services researcher and Professor in the Center for Community Health Integration at Case Western Reserve University in Cleveland Ohio. I have secondary appointments in the Departments of Family Medicine & Community Health, Population and Quantitative Health Sciences and Oncology. I serve as the co-leader of the Cancer Prevention and Control Research Program at the Case Comprehensive Cancer Center and also is an Associate Director of the Case Prevention Research Center for Healthy Neighborhoods. My research interests include enhancing preventive service delivery in the primary care setting, doctor-patient communication of health behavior change, and building linkages to community resources to facilitate behavior change with an emphasis on tobacco cessation. A project that I’m particularly excited about right now is a collaboration involving MetroHealth Health System primary care centers and the Ohio Quitline. We are implementing systems change and capacity to use an eReferral to increase tobacco cessation support for socially disadvantaged patients. Ted Ganiats, MD, is the Director of the Agency for Healthcare Research and Quality’s (AHRQ) National Center for Excellence in Primary Care Research. Prior to coming to AHRQ he was Professor of Family Medicine and Public Health at the University of California San Diego (UCSD) and Family Medicine and Community Health at the University of Miami. In San Diego he was the Executive Director of the UCSD Health Outcomes Assessment Program, concentrating his health services research in cost-effectiveness and quality of life assessment. In addition, Dr. Ganiats has brought his family medicine training to a large number of clinical practice guideline and performance measurement development committees. Jan Genevro is a health services researcher with long-standing interests in whole person care, practice improvement, care coordination, and improving the work experiences of health care personnel. She currently is a member of the Division of Practice Improvement within the Center for Evidence and Practice Improvement at the Agency for Healthcare Research & Quality (AHRQ). At AHRQ, Jan has led multiple projects on the patient-centered medical home, including work to improve the evaluation of complex primary care interventions. She also led the development of AHRQ’s new survey of patients’ care coordination experiences in primary care settings, the Care Coordination Quality Measure – Primary Care, and the development of AHRQ’s Care Coordination Measures Atlas. Jan is part of the project team for AHRQ’s EvidenceNOW initiative, a large, national primary care implementation research project designed to translate PCOR evidence into practice and study best methods for primary care quality improvement. Prior to joining AHRQ, Jan was a faculty member and staff researcher at the Johns Hopkins Bloomberg School of Public Health, worked in the non-profit sector to translate health behavior research into effective primary care practice, and conducted research at the intersection of child development and health as a post-doctoral fellow at the National Institute of Child Health and Human Development. She earned her doctorate in health psychology at the University of California, San Francisco and received her undergraduate degree from the University of California, San Diego. Dr. Gold is a family physician and residency faculty member at Denver Health, an academically affiliated safety-net hospital system. Through the Eugene S. Farley, Jr. Health Policy Center and the Practice Innovations Program at the University of Colorado, she works on policy and practice transformation projects concerning payment reform for primary care and integrating behavioral health and primary care. She is a member of the Board of Directors of the Colorado Academy of Family Physicians. A native of Mexico, Carolina was an exchange medical student in Wisconsin while earning her MD at the Universidad Autónoma de Tamaulipas. Back in Mexico did an internship in general medicine and then a social service with Mayan communities in Chiapas, Mexico, working with promotores/community health workers and practicing primary care. She has continued working with promotores throughout her community health advocacy career. Her MPH from the University of Utah includes a focus on quality of care with training at Intermountain Healthcare. She conducted research in health care systems at the National Institute of Public Health of Mexico. Completed a post-doctoral fellowship on health disparities at the University of Wisconsin-Madison where she was also instructor at the UW Institute of Global Health focusing on the scarcity paradigm of economics. She developed a model of trust building called “Nosotros” (‘us’ in Spanish) and has used the ICF (WHO’s instrument for measuring functionality) in innovative ways. Currently, Carolina is the Health Optimization coordinator of the Advanced Primary Care project at the Dept. Family and Community Medicine at the University of Texas Health Science Center at San Antonio where together with 9 promotores seeks to compassionately integrate the social determinants of health into the practice of family medicine. She is married and has three sons. 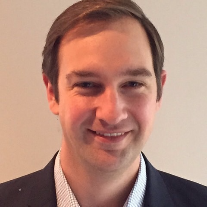 Dr. Gravel is a graduate of Tufts University and Tufts University School of Medicine and served as chief resident at Virginia Commonwealth University/ Fairfax Family Medicine Residency in Fairfax, VA. He was the founding Residency Program Director of the Tufts University FMR in Malden, MA and was a Residency Program Director for 20 years. Dr. Gravel is a Professor of Family Medicine at the University of Massachusetts Medical School and an Adjunct Professor at Tufts. Besides serving as Chair of Family Medicine & Community Health, he is Senior Vice President and Chief Medical Officer of the Lawrence Family Medicine Residency’s sponsoring institution, the Greater Lawrence Family Health Center, a Teaching Health Center in Lawrence, MA. Dr. Gravel has significant national, regional, and statewide leadership experience in family medicine. He currently serves nationally on the Boards of Directors of the American Board of Family Medicine (ABFM) and the Society of Teachers of Family Medicine (STFM) and is also Chair of the Academic Family Medicine Advocacy Committee (AFMAC). He is a past president of the Association of Family Medicine Residency Directors (AFMRD), the Family Medicine Education Consortium (FMEC), and the Massachusetts Academy of Family Physicians (MassAFP). He also currently serves as Chair of the ABFM’s Measure Development Governance Committee. Larry Green is Professor of Family Medicine and the Epperson-Zorn Chair for Innovation in Family Medicine and Primary Care at the University of Colorado Denver. He was born and raised in Ardmore, Oklahoma and graduated from the University of Oklahoma with a major in psychology. After graduating from Baylor College of Medicine in Houston, Texas, he did his residency in family medicine in Rochester, New York at Highland Hospital and the University of Rochester. He practiced medicine in Van Buren, Arkansas, in the National Health Service Corps, before joining the faculty at the University of Colorado. He has remained a faculty member there throughout his career, during which he has served in various roles, including practicing physician, residency program director, developer of practice-based research networks, and department chair. His work has focused on health policy and redesigning family and primary care practice, education, and research. He currently is chair of the Board of Directors of the American Board of Family Medicine Foundation, a member of the Board of Directors of the American Board of Medical Specialties, and a member of the National Academy of Medicine. He is married with two children and three grandchildren. Ann Greiner serves as President and CEO of the Patient-Centered Primary Care Collaborative (PCPCC). She is responsible for leading the PCPCC strategy to make primary care more robust and patient centered, managing a high-functioning staff team, and fostering strategic partnerships across diverse sectors. Ann has dedicated her career to advancing the quality of U.S. health and health care. She has more than 20 years of experience, including senior-level policy, research, and communications roles at prestigious national not-for-profit organizations. Prior to leading PCPCC, she served as VP of Public Affairs at the National Quality Forum where she increased the influence of NQF on Capitol Hill. Before working at NQF, Ann held positions at the American Board of Internal Medicine, the Institute of Medicine, and the National Committee for Quality Assurance (NCQA). In these roles, she worked with others to pioneer research to help the field and the public understand the extent of the U.S. health care quality problem (Institute of Medicine), published some of the first-ever quality ratings bringing needed transparency to health care (NCQA), and helped Congress and other policymakers to understand and support the use of high-quality measures to drive improvements in care (National Quality Forum). Germane to the Starfield Conference, Ann serves on both the NQF Clinician Measure Applications Partnership (MAP) and Child Medicaid MAP. Jeannie Haggerty is health services researcher trained in epidemiology. Holder of the first McGill Chair in Family and Community Medicine Research, based at St. Mary’s Hospital Centre and McGill University, Dr. Haggerty’s domain of research is the factors related to accessibility and quality of primary care, especially for socially vulnerable patients and particularly the impact of health system policies and reforms. Her current research program focuses on the measure of patient experience with patient-centered and effective primary health care and how these measures relate to changes in organizational and professional practices. She is nominated principal investigator of a Canada-Australia research program that aims to improve access to primary health care for socially vulnerable persons. She is assistant scientific director of the Québec PHC Knowledge Network, Réseau-1 Québec and scientific director of the St. Mary’s Research Centre and the McGill Primary Care Practice Based Research Network. Her goal is to present the public voice in a clear way to healthcare decision-makers on issues of equitable access and quality of healthcare. Professor Amanda Howe (MA MEd MD FRCGP) is President of the World Organization of Family Doctors, havingpreviously held office as President Elect, Chair oftheir Working Party On Women and Family Medicine, and Chair of the Organisational Equity Committee. From 2009-2015 she was also an Officer of the U.K. Royal College of General Practitioners, serving as Honorary Secretary then Vice Chair of Council. Her professorial appointment is at the Norwich Medical School in the University of East Anglia, one of the newer medical schools in the U.K.; and she still sees patients in general practice at Bowthorpe Medical Centre Norwich, where she has been a GP since 2001. She qualified in medicine in 1980, got her MRCGP in 1983, went into fulltime GP in inner city Sheffield, and then developed an academic track to her career in order to influence the ‘bigger picture’ for family medicine as a core discipline of strong health care systems. Her passion is to make family medicine a recognised and respected component of every healthcare system and medical school. Apart from championing family medicine, medical education reform, and professionalism as a core attribute of good doctors, she has particular clinical and research interests in quality of care, the effective use of education as an intervention to improve care, mental health problems, and patient and public empowerment in health care settings. She was awarded Queen’s Honours as Officer of the British Empire in January 2016 for services to primary care. Dr. Hwang is an internal medicine physician with expertise in quality measurement and population health initiatives. At Evolent Health, she is Vice President of Quality and leads quality improvement initiatives for Medicare Advantage Star Ratings, CMS ACOs, State Medicaid Quality Reporting, and Payer Partnerships, as well as NCQA HEDIS and Accreditation activities. Dr. Hwang developed and manages Evolent’s Proactive Care program, a multi-disciplinary approach to identifying and closing gaps in care through engagement of physician practices, extended care teams, and patients around optimized workflows and technology. Evolent Health partners with progressive health care systems across the nation to lead, build and own the path to value-based care. Prior to joining Evolent, Dr. Hwang was the National Quality Forum’s Vice President for the Measure Applications Partnership, a public-private collaboration convened to provide input to the Department of Health and Human Services on performance measures for use in public reporting and performance-based payment programs. Dr. Hwang was also previously Director of Clinical Affairs and Analytics at Anthem’s wholly owned subsidiary Resolution Health, a data-driven disease management company engaging both patients and providers to improve quality and costs for millions of covered lives. In this role, Dr. Hwang oversaw RHI’s physician quality measurement and improvement efforts, including provider recognition and pay-for-performance programs. Yalda Jabbarpour is a family physician in the Department of Family Medicine at the Georgetown University School of Medicine. She graduated from the Georgetown University School of Medicine in 2008 and completed her residency at the Georgetown University/Providence Hospital Family Medicine Residency Program, where she served as chief resident from 2010-2011. Upon graduation she worked as a full time family physician for Scripps Health Medical Group in San Diego, California. She returned to Washington, DC in 2015 to serve as the Robert L Phillips Health Policy Fellow at the Robert Graham Center and, upon completion of the program, joined the faculty at Georgetown University School of Medicine. She currently serves as the Director of Ambulatory Care at the school of medicine and as the Larry A Green Visiting Scholar Mentor at the Robert Graham Center. She continues to work clinically as a family physician at the MedStar Spring Valley Family Medicine clinic in Washington, DC. I am currently the FMAH/VCU Primary Care Research Fellow. I recently graduated from the University of Rochester Family Medicine Residency with an Area of Concentration in Political Advocacy and Leadership Training (PALT). During residency, I served as representative to the AAFP Commission on Health of the Public and Science, the AAFP Congress of Delegates, and the AAFP Commission on Medical Education. I previously received a B.S. in Chemical Biology from UC Berkeley and am M.D. from UCSF. As a long-time practicing family physician, I have a deep respect for the importance of primary care practices and providers in improving the health of communities. In my roles as clinician, teacher, and researcher I have focused on making primary care better – for both patients and providers. I have worked with community primary care practices from the start of my academic career to ground my research in the ‘real world’, from exploring the clinical epidemiology of common presenting symptoms to developing health information technology tools to support everyday practice to creating clinical programs to extend the capacity of the primary care office. At this point in my career I am working to apply that research knowledge to the messy process of health care transformation. We redesigned our statewide primary care PBRN (GRIN) to more effectively link providers and communities to academic researchers, culminating in the creation of a prototype Community-Based Research Network (CBRN) in Jackson, Michigan to bring together lay community members, community stakeholders, social and behavioral health providers, and medical care providers to build an integrated care delivery system from the ground up. Through these efforts it has become clear to me that we must develop, test, translate, and “scale up” practical approaches to support integrated, person-centered care within the primary care medical home and across the community at-large. One of our biggest challenges will be to develop ‘measures that matter’ to assess the value of this approach to care. That’s why I’m here. Christopher Koller is president of the Milbank Memorial Fund, a 112-year-old operating foundation based in New York City. Prior to joining the Fund, he was health insurance commissioner of Rhode Island, where his office required commercial health insurers to measure and raise their "primary care spending rate,” the portion of medical expenses going to primary care. He also served as CEO of a CHC-based Medicaid health plan that included administering a primary care site for a staff model HMO. The Fund supports the work of CMMI’s Comprehensive Primary Care Plus project, the production of an annual evidence report by the Patient-Centered Primary Care Collaborative, and the adoption of the primary care spending measure by researchers and policymakers. Anton Kuzel, MD, MHPE is the Harris-Mayo Distinguished Professor and Chair of the Department of Family Medicine and Population Health at Virginia Commonwealth University, where he has served on the faculty since 1984. His undergraduate and medical degrees are from the University of Illinois. He completed his residency in family medicine at MacNeal Memorial Hospital in suburban Chicago, and concurrently enrolled in a Masters of Health Professions Education program at the Center for Educational Development, University of Illinois at the Medical Center, Chicago. His current research interests include barriers to the delivery of cancer screening services, the nature of medical errors in primary health care, practice performance measurement and management, and facilitating and measuring the impact of practice redesign. He is working with the Virginia Academy of Family Physicians to promote practice redesign in Virginia, with the goals of improving access and quality and enhancing the ability of those practices to recruit students to careers in Family Medicine. His 2011 book, Restoring Primary Care, aims to help practicing primary care clinicians to create better models of care for their patients. In 2015, he began work as the PI for Heart of Virginia Healthcare. This $10 million grant is one of seven cooperatives funded by the Agency for Healthcare Research and Quality’s (AHRQ) EvidenceNOW initiative aimed at helping small-to-medium primary care practices improve their patients’ cardiovascular health while also learning practical strategies that can strengthen their organizations, build quality improvement capacity, and restore the joy to primary care practice. David Lansky, PhD, is the president and Chief Executive Officer of the Pacific Business Group on Health (PBGH) – directing efforts to improve the affordability and availability of high-quality health care. Since 2008, he has led the coalition of 60 large employers and health care purchasers representing more than 6 million Americans, including Wells Fargo, Intel, Safeway, Walmart, Boeing, CalPERS, and the state of Washington Health Care Authority. A nationally-recognized expert in accountability, quality measurement and health IT, Lansky has served as a board member or advisor to numerous health care programs, including the National Quality Forum, federal Health IT Policy Committee, Catalyst for Payment Reform, Joint Commission, National Patient Safety Foundation, Leapfrog Group, and the Medicare Beneficiary Education Advisory Panel. Lansky currently is the vice chair of the Health Care Transformation Task Force. He also serves on the Guiding Committee of the HHS Learning and Action Network, the Congressional Budget Office Health Advisors Panel, and the Board of the Alliance for Health Reform. From 2004 to 2008, Lansky was senior director of the Health Program at the Markle Foundation (NY), and from 1995 to 2004, he established the Foundation for Accountability (FACCT), a public-private venture developing quality measures and web-based tools to help consumers and purchasers assess the value of health care services and providers. Lansky was a senior policy analyst for the Jackson Hole Group during the national health care reform debate of 1993-94. He led the Center for Outcomes Research and Education at Oregon-based Providence Health System from 1988 to 1993. He is the author of more than 30 peer-reviewed papers on outcomes research and quality measurement and holds a PhD from the University of California, Berkeley. Michael LeFevre, M.D., MSPH is the Future of Family Medicine Professor and Vice Chair of Family and Community Medicine at the University of Missouri – Columbia, and the Medical Director for Population Health for MU Health Care. As Medical Director for the Department of Family Medicine, he has administrative oversight of family medicine, urgent care and quick care practices in eight locations with over 150,000 annual visits. He teaches residents and medical students in the inpatient and outpatient settings and maintains an active practice across the full breadth of Family Medicine including inpatient work and, through 2012, obstetrics. He served as Chief Medical Information Officer for MU Health Care and directed the implementation of the electronic medical record across the health system from 2002 through 2012. Much of his academic effort has been in the area of evidence based medicine and clinical policies, and he completed more than a decade of work on the United States Preventive Services Task Force in April of 2016, including three years as co-vice chair and a year as chair. He was also a member of the Joint National Conference on Prevention, Detection and Treatment of Hypertension (JNC 8). He was elected to the Institute of Medicine in 2011. He has B.S.E.E., M.D. and M.S.P.H. degrees from the University of Missouri and has been on faculty there since 1984. Dr. Lewis earned her MD from the Chicago Medical School and completed a residency in family practice at Naval Hospital Jacksonville, Jacksonville, FL. She completed a two-year faculty development fellowship at Madigan Army Medical Center and Pacific Lutheran University with a Masters degree in the Social and Behavioral Sciences. In 2003, Dr. Lewis retired from the United States Navy after 25 years of service. During the next seven years, she was Director Medical Policy World Wide Public Affairs and Policy for Pfizer, Inc. Currently, she serves as Chief Medical Officer Warrior Centric Health, LLC; Chief Medical Advisor Intellivance, LLC; Immediate Past President American Academy Family Physicians Foundation, and Deputy Director, W. Montague Cobb/ National Medical Association Health Institute. She is an Associate Professor and Senior Researcher in Minority Health and Health Disparities Dillard University; Adjunct Associate Professor, Department of Family and Community Health, Rutgers Robert Wood Johnson Medical School and also holds an appointment in the Department of Family and Preventive Medicine, Rosalind Franklin University of Medicine and Science. Previous positions include Assistant Professor departments of Family Medicine and Medical and Clinical Psychology Uniformed Services University (USU); Director of the University Health Center; Vice Chair, Department of Family Medicine and Associate Chair for Research, Department of Family Medicine. Her professional and research interests include the impact of culture and cultural competency on healthcare outcomes, Women’s and Veteran’s health, PTSD and TBI, community outreach and engagement, health and healthcare disparities, healthcare policy and minority participation in clinical trials. Theodore Long, MD, MHS is the Senior Medical Officer for the Quality Measurement and Value-Based Incentives Group at the Centers for Medicare and Medicaid Services (CMS) which covers federal programs including the Medicare Access and CHIP Reauthorization Act of 2015 (MACRA), the Hospital Readmission Reduction Program, and the Hospital Value-Based Purchasing Program. Dr. Long focuses on the development and implementation of quality and cost measures in these programs. Before coming to CMS, Dr. Long served as Medical Director at the Rhode Island State Department of Health. He additionally worked under CMS contract to develop hospital quality measures at the Yale Center for Outcomes Research and Evaluation. He is a practicing primary care physician who did his undergraduate work, residency training, and post-graduate Master’s work in health services research at Yale University. He is an Assistant Professor Adjunct at the Yale School of Medicine and an affiliate of the Harvard Medical School Center for Primary Care. I am a family doctor living and working along midcoast Maine. I practiced full-spectrum family medicine for most of my 33 years in Belfast, but am now partially retired and spending more time in teaching. My practice, too, has changed over the years from a private group practice partnership to rural health center to an FQHC. We are now offer primary care, integrated behavioral health, pharmacy, physical therapy, and care management. My professional interests now lie in the area of medication assisted treatment opioid use disorder, and efforts to make my community aware of what the current opioid overdose epidemic demands of us all. I am a practitioner, and over the years steered away from research, public health policy, and political activism. My only outreach was through writing, in the form of commentaries on the complex relationships of medicine and the moral obligations of the family doctor. Dr. Jean Malouin has been the Medical Director for Value Partnerships at Blue Cross Blue Shield of Michigan since 2012, and is responsible for the Patient-Centered Medical Home, Organized Systems of Care and other BCBSM initiatives. Dr. Malouin is also on the Family Medicine faculty at the University of Michigan where she maintains a clinical practice. From 2012-2016 she served as Medical Director and Co-Project Lead for the Michigan Primary Care Transformation Project, a state-wide multi-payer PMCH demonstration project involving almost 400 Michigan PCMH-designated practices. She is currently part of the leadership team for the Michigan region of the Comprehensive Care Plus (CPC+) initiative, a five-year multi-payer project involving almost 500 PCMH practices. She also serves as medical director for the Michigan Care Management Resource Center which has provided comprehensive training for over 1,000 practice-based care managers to date. Dr. Malouin received her medical degree and Master of Public Health degree in Health Management and Policy from the University of Michigan. Named one of fifteen Disruptive Women to Watch in 2015, along with the Honorable Ruth Bader Ginsburg, Maria Shriver and Amy Berman, RN, Kym marries her business expertise and personal experience as a Hodgkin's lymphoma, melanoma (2x!) and breast cancer survivor to help healthcare and technology organizations understand and solve complex, "real-world" patient issues. Kym is the Principal of 360 Degree Insights LLC, a strategic healthcare consulting firm that helps clients design, develop, market and sell patient-centered, value-driven solutions. Kym's patient insights span across acute care, chronic illness, cancer, survivorship and wellness. She draws on her four cancer experiences and 34 years of survivorship to reinforce the importance of communication, care coordination, shared-decision making and data access upon diagnoses, through treatment and for life. Kym is also a trained voiceover artist who specializes in authentic narration of educational and informative content, such as documentary videos, online tutorials, eBooks and public service announcements. While Kym’s niche is healthcare messaging, she is happy to lend her voice to other industries. Kym lives in Maryland with her husband, Ross Martin, MD — a medical informatician and the creative genius behind HIT music videos such as, Gimme My DaM Data and The Meaningful Yoose Rap. Viviana Martinez-Bianchi is the Chair of the Health Equity Team for Family Medicine for America's Health, and co-chaired the Starfield Summit II. She is the Program Director of the Duke Family Medicine Residency Program. She is current Member-at-Large of the Executive Board of the World Organization of Family Physicians (WONCA) and WONCA Liaison to the World Health Organization. She serves in the Board of the North Carolina Academy of Family Physicians. She has been a delegate representing minority physicians to the Congress of Delegates of the American Academy of Family Physicians (AAFP) and chaired the AAFP Commission on Membership and Member Services. Viviana has served as member of the Medicare Advisory Board to the North Carolina Office of Minority Health & Health Disparities. She serves in the Underrepresented Minority Faculty Advisory Board to the Dean of Duke School of Medicine. She has been a member of the Steering Committee of the Duke University Academic Council Taskforce on Diversity. She joined the Duke faculty in 2006 after working as a family doctor in a health professional shortage area in Iowa and faculty at a community residency program. She completed Fellowships in Faculty Development with Emphasis in Caring for Underserved Populations at the University of Cincinnati in 2005 and with emphasis in Cultural Competency with the Cultural Medicine Training Center in 2015. Her work addresses residents’ clinical education, teamwork and interprofessional education, chronic disease management, women's health, addressing social determinants of health and promoting an understanding of health equity both from local and international perspectives. Bob McNellis is the Senior Advisor for Primary Care at the Agency for Healthcare Research and Quality. He joined AHRQ in 2012 in the Center for Evidence and Practice Improvement. His focus is on the dissemination and implementation of interventions to improve the delivery of primary care. He is the lead program official for implementation of AHRQ’s EvidenceNOW initiative. From 2011 to 2012 he was a Visiting Senior Scholar at AHRQ serving as a medical officer supporting the U.S. Preventive Services Task Force. Previously, McNellis spent 12 years at the American Academy of Physician Assistants as Vice President for Science and Public Health. He completed a fellowship in primary health care policy in 2003. From 1992-2000 McNellis was on faculty at the George Washington University (GW) Physician Assistant Program. While at GW he served as director of research, academic coordinator and acting director. McNellis graduated from GW’s PA program and worked as a PA in a variety of clinical and research settings. I’m a pediatrician and epidemiologist with a background that includes clinical practice, health services research, health policy, practice transformation and program evaluation, and population health. Much of my work has focused on underprivileged populations, especially on reducing disparities in health and the social determinants of health. Other areas of interest have included quality improvement, workforce development, and judicious use of medications, especially antibiotics. Most recently I’ve been Assistant Professor of Pediatrics and Epidemiology and Biostatistics, and Associate Director for Research and Evaluation, The Center for Child Health and Policy, Case Western Reserve University School of Medicine and Rainbow Babies and Children’s Hospital. I have been principal and co-investigator on government-sponsored research projects, served on the Child Health Advisory Board, Clinical and Translational Science Collaborative, and on the Better Health Partnership’s Children’s Health Initiative Steering Committee. I am a member of the Editorial Board of Pediatrics, the journal of the American Academy of Pediatrics. I’m currently in the midst of a relocation to New York City so my role may have evolved by the time of the Starfield III meeting. David Meyers, a board-certified family physician, began serving as AHRQ’s first Chief Medical Officer in August 2015. He currently is engaged in AHRQ’s strategic planning around learning health systems and leads EvidenceNOW, AHRQ’s $110 million initiative to help primary care practices improve the heart health of their patients through quality improvement support and the implementation of new evidence. Prior to his appointment as CMO, he directed AHRQ’s Center for Primary Care, Prevention and Clinical Partnerships and Center for Evidence and Practice Improvement (CEPI). He has also directed the Agency's Primary Care Practice-Based Research Network initiatives and served as the Acting Scientific Director for the U.S. Preventive Services Task Force. Before joining AHRQ in 2004, he practiced family medicine, including maternity care, in a community health center in southeast Washington, D.C., and directed the Georgetown University Department of Family Medicine's practice-based research network, CAPRICORN. He is a graduate of the University of Pennsylvania School of Medicine and completed his family medicine residency at Providence Hospital/Georgetown University. After residency, he completed fellowship training in primary care health policy and research in the Department of Family Medicine at Georgetown University. Lives unfold as stories and mine celebrates wonder, surprise, justice, and adventure. As an anthropologist, family physician, teacher, mixed method researcher, organizational rascal, occasional coyote and grandfather, I’ve focused on co-creating a better life together with emphasis on healing relationships, complexity, ecology, curiosity, and the worlds of primary care. Am currently living the above in the Lehigh River watershed in eastern Pennsylvania. Will received a master’s degree in medical anthropology from Wake Forest University and medical degree from the University of North Carolina School of Medicine. He helped to establish the first group family medicine practice in Bethlehem, Pennsylvania before joining the family medicine faculty at the University of Connecticut. After serving as Director of Pre-Doctoral Education, Residency Director, and Director of Fellowship Programs, he returned home to Pennsylvania in 1994 as founding Program Director of the Lehigh Valley Family Medicine Residency Program and became Chair of the department from1998-2016 and is now Chair Emeritus. The Lehigh Valley family medicine ensemble developed a clinical department with more than 200 practices and a residency program based on relationship-centered care. Dr. Miller’s research activities include over 25 years of observing, implementing, and evaluating NIH-funded national primary care practice improvement efforts along with investigations of healing relationships and the clinical encounter, collaborative care, and professional socialization using qualitative and mixed methods. Currently serving on the board of the Society of Teachers in Family Medicine, his special joys are family, cross-country skiing, and sharing stories of adventure and human-animal relationships. Dr. Mutter is Assistant Professor of Family and Geriatric Medicine at the University of Virginia School of Medicine. His clinical work includes primary care geriatrics and memory disorders. He also serves as core faculty of UVa’s Center for Biomedical Ethics and Humanities, where his teaching and research activities focus on the intersection of the history of medicine, primary care health policy, and medical education. He is a Fellow of the Institute for Advanced Studies in Culture at UVa’s College of Arts and Sciences, where he researches issues related to aging in contemporary society. He is currently working on a project on the modern history of quality improvement in U.S. health care. Karin Nelson, MD, MSHS, is a general internist and health services researcher at the VA Puget Sound Health Care System (VAPSHCS). She is an Associate Professor in the School of Medicine, Adjunct Associate Professor in Health Services at the University of Washington and core investigator at the Seattle Health Services Research & Development (HSR&D) Center of Innovation (COIN). Dr. Nelson is the associate director for the VHA’s evaluation of the patient centered medical home, the Patient Aligned Care Team (PACT) initiative. She won the 2015 VHA HSR&D’s Best Research Paper of the Year Award for Nelson, et al. “Implementation of the Patient Centered Medical Home (PCMH) in the Veterans Health Administration (VHA)” published in JAMA Internal Medicine. Dr. Amy Nguyen Howell is a board-certified family practice physician. She currently oversees all clinical programs at CAPG and supports advocacy work in Sacramento, CA and Washington, DC. Additionally, she contributes to the Technical Expert Panel on MACRA Measurement Development; Steering Committee on the Core Quality Measurement Collaborative; Healthcare Payment and Learning Action Network Population-Based Payment Work Group; and Population Health Management, Clinical Programs, and Patient-Centered Specialty Practice Advisory Committees at NCQA. These national committees provide structure for an innovative coordinated delivery model focused on payment reform and integrated patient-centric care. Dr. Nguyen is a faculty member at USC Sol Price School of Public Policy and continues to serve as a family physician at Playa Vista Medical Center. 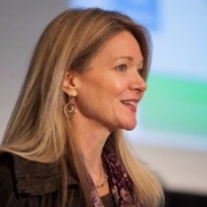 Sally Okun is the Vice President for Advocacy, Policy and Patient Safety at PatientsLikeMe. She is responsible for bringing patient voice and insight to diverse advocacy, policy and regulatory discussions at the national and global level, and is the company’s liaison with external organizations, government and regulatory agencies. Okun joined the company in 2008 as the manager of Health Data Integrity. Since assuming the VP position in 2013 she’s been actively involved in representing the patient perspective at numerous external activities including the inaugural PCORI Patient Engagement Advisory Panel; the Scientific Advisory Committee for Innovation in Medical Evidence and Development (IMEDS); the Duke Margolis Center for Health Policy Real World Evidence Advisory Group. She is a member of the Leadership Consortium for a Value & Science-driven Health System at the National Academy of Medicine and a frequent contributor to expert panels including the National Quality Forum, Agency for Health Care Research and Quality, the American Heart Association, The Commonwealth Fund, Center for Medical Technology Policy, National Patient Advocacy Foundation, the American College of Cardiology’s Diabetes Collaborative Registry, the Schwartz Center for Compassionate Care and many others. In 2017 Sally joined the Board of Directors for Public Responsibility in Medicine and Research (PRIM&R). Okun, a Registered Nurse completed her graduate studies at The Heller School for Social Policy & Management at Brandeis University. She was a 2010 Fellow in Biomedical Informatics for the National Library of Medicine and a 2014 Salzburg Global Fellow in New Paradigms for Behavioral and Mental Health. Dr. Diane Padden joined the American Association of Nurse Practitioners (AANP) in 2013 where she is Vice President of Professional Practice and Partnerships. In this role she is responsible for planning, development, and implementation of activities and programs related to professional practice. She is a member of the NQF Clinicians MAP workgroup evaluating measures and providing input on measures under consideration for federal programs applicable to clinicians. She has participated on Technical Expert Panels related to MACRA Episode-Based Cost Measures and Development and Reevaluation of Outpatient Outcome Measures for MIPS. Additionally, she represents AANP to develop, establish, and maintain partnerships with other organizations and agencies. Prior to coming to AANP, Dr. Padden was an Associate Professor in the Daniel K. Inouye Graduate School of Nursing at the Uniformed Services University (USU) in Bethesda, MD. While at USU she taught in the MSN, DNP, and PhD programs and held several leadership positions. Dr. Padden has been a Family Nurse Practitioner since 1994 practicing in both private and public settings with a focus on health promotion and wellness of the entire family. She has conducted several research studies and published in the areas of stress, coping and health promoting behaviors in spouses of military service members. Dr. Padden was inducted as a Fellow in the American Association of Nurse Practitioners in 2010 and holds several teaching and research awards. Dr. Padden received her ADN from North Dakota State University, BSN from the State University of New York, her master's degree from Emory University, and her PhD from The Catholic University of America. C.J. Peek, PhD is Professor in the Dept. Family Medicine and Community Health at the University of Minnesota Medical School. A clinical psychologist, he focuses on care system transformation, organizational effectiveness, leadership development, and productive conversations across disciplines and organizational areas. He facilitates development of definitional frameworks and clarified language systems or “lexicons” for emerging fields of healthcare in which consistent language, shared meanings or measurement is not well developed, but needed for collaboration on standards, implementation, research agendas, and measurement. He has worked toward better integration of behavioral health and general medical care since 1974 in roles including clinical psychologist member of primary care or other medical teams; hiring, training, and supervision of behavioral health clinicians; setting up integrated behavioral health within medical clinics, facilitating system wide change to support that, and being part of research teams and projects including at AHRQ. He has published and presented widely on a blend of clinical, organizational, shared language, and leadership topics. Before joining the University, he did independent consultation for integrated behavioral health and organizational effectiveness, and between 1979 and 2002 was a clinician, clinical supervisor, leader and internal consultant at HealthPartners Medical Group in the Twin Cities. He earned a PhD in clinical psychology from the University of Colorado in 1976, where he studied with Dr. Peter G. Ossorio, founder of the discipline of Descriptive Psychology. Sandy Pogones has extensive hands-on experience in the field of health care measurement and improvement, in particular, physician office-based improvement. She holds a BA in Health Information Management, a Master’s in Public Administration specializing in Healthcare Administration, is a Certified Professional in Healthcare Quality (CPHQ), and a graduate of the IHI Breakthrough Series College. She has expertise in use of the EHR for quality improvement, quality measures implementation, regulatory requirements of quality payment programs, practical application of QI methodology in physician practices, and EHR adoption. She has facilitated transformation of primary care practices in support of medical home principles, including the elements of population management, care coordination, care planning, enhanced access, continuity, health information exchange, and patient/family engagement. In prior positions, Sandy executed quality programs in the hospital setting and in ESRD facilities, and worked as a Territory Sales Manager for a pharmaceutical company. In her current position as Senior Strategist for Health Care Quality, Sandy collaborates with national partners to advance the quality of patient care through enhanced performance measurement and improvement in family medicine, provides staff support to the AAFP’s Commission on Quality and Practice, and leads efforts to review, analyze, and comment on quality measures. She serves on the National Quality Partners’ Leadership Consortium and is a member of the National Association of Healthcare Quality. Dr. James C. Puffer has served as the President and Chief Executive Officer of the American Board of Family Medicine (ABFM), located in Lexington, Kentucky, since January 1, 2003. Dr. Puffer came to the ABFM from the University of California, Los Angeles (UCLA). He joined the faculty of the School of Medicine as an Assistant Professor of Family Medicine in 1979 after completing a family medicine residency at the UCLA Medical Center from 1976-1979. He received his medical degree from the UCLA School of Medicine in 1976 and graduated with honors from UCLA with a bachelor’s degree in psychology in 1972. During his tenure at UCLA, he led the Department of Family Medicine from 1981-1998. He currently holds a voluntary faculty appointment at the University of Kentucky, where he serves as a Professor in the Department of Family and Community Medicine. Dr. Reed’s professional career spans 40 years of clinical Family Medicine, administration, research and teaching. He was educated at Yale University, Chicago Medical School and the University of Colorado where he completed a residency in Family Medicine in 1975. He served for many years on the clinical faculty of the University of Colorado School of Medicine before coming to Montana in 2000. Having practiced and taught in both rural and urban settings, he is interested in health care system reform to attain improved value, rural medical education and delivery, and decreasing health care workforce mal-distribution. He recently retired from the University of Montana where he worked part-time with the nascent Family Medicine Residency Program in Missoula, (a member of the WWAMI network) as Senior Clinical Professor of Family Medicine. A rural physician at his core, he continues to serve on the Boards of Billings Clinic and the Rural Training Track Collaborative. He has competed successfully for several Federal, State and Private Foundation grants and received awards for outstanding teaching and practice. In retirement, he is continuing these interests through selected projects and activities aimed at advancing primary care. Dr. Reynolds is the Vice Chair for Education and Chief of the Division of General Internal Medicine and Primary Care in the Department of Medicine at Beth Israel Deaconess Medical Center, and Associate Professor of Medicine at Harvard Medical School (HMS). In addition, she is the Faculty Director of the Linde Family Fellowship in Primary Care Leadership. As division chief, she learns from and oversees a large faculty-resident primary care practice, a 5-hopsital-wide network of hospitalists, a general medicine research section, and a palliative care group. Dr. Reynolds graduated from Harvard College and received her MD from HMS. She served as a house officer in primary care internal medicine at the University of California, San Francisco. As a faculty member at the University of Pennsylvania, she served as the initial Program Director for their Primary Care Internal Medicine Residency Program. She returned to Boston and BIDMC in 2000. She has won teaching awards as a faculty member at UCSF, the Hospital of the University of Pennsylvania, and Harvard Medical School. In 2010, she won the ACGME's Parker Palmer Courage to Teach Award. Eileen served on the Residency Review Committee in Internal Medicine She has participated in numerous efforts of the Alliance for Academic Internal Medicine, the American College of Physicians, the American Board of Internal Medicine, and the Society of General Internal Medicine to define the future of the internal medicine and of residency training. She served SGIM as President from 2016-2017 and is currently the Immediate Past President. Eugene Rich, M.D. (senior fellow and director of Mathematica's Center on Health Care Effectiveness) is an expert on the influence of the policy, payment, and practice environment on health professionals’ decision making with a particular longstanding interest in improving primary medical care. 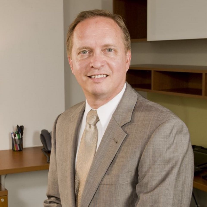 In addition to his expertise in health services and health policy research, he has deep experience with academic and privatepractice leadership, including past roles asgeneral internal medicine /geriatrics division chief (University of Kentucky), and medicine department chair (Creighton University). Since joining Mathematica in 2010, Rich has led a number of projects. He is project director for AHRQs Coordinating Center for Comparative Health System Performance, and for the APM Program Analysis Contract with CMMI he leads the review and analysis of Physician Focused Payment Model (PFPM) proposals recommended by the PTAC. He is senior advisor on a number of other current CMS and CMMI projects, including Mathematica’s evaluation of the CPC Plus model, and the evaluation of the diffusion and impact of the Chronic Care Management Fee. The author of more than 130 peer-reviewed publications, Rich is a frequent consultant to relevant federal agencies, foundations, and associations. Past recognition of his work includes co-authorship on the 2001 AcademyHealth Article of the Year, Robert Wood Johnson Health Policy Fellowship working on physician payment reform with the House Committee on Ways and Means, and past President of the Society of General Internal Medicine. Dr. Satin is a practicing, academic physician, in the University of Minnesota Medical School’s Department of Family Medicine and Community Health. Within the medical school, he directs the core courses in Ethics, Law, Policy, Healthcare Finance, and Quality Improvement. Dr. Satin sits on several AMA workgroups designing performance measures for CMS, and is a national speaker on performance based incentive programs. Dr. Satin chairs the Risk Adjustment and Segmentation Committee of Minnesota Community Measurement, the statewide clearinghouse for clinical performance measurement. His website, p4presearch.org keeps up to date syntheses of the literature on performance based incentive programs. Over the past decade, p4presearch.org has been accessed in over 100 countries by individuals, healthcare industries, and medical schools. He continues to conduct research in novel models of risk adjustment, most recently leading Minnesota’s multi-stakeholder Quality Measurement Enhancement Project. This community-university partnership works to integrate social determinants of health into existing and future clinical quality measurement. Dr. Satin completed a postdoctoral fellowship at the University of Minnesota’s Center for Bioethics following his residency at the University’s Department of Family Medicine and Community Health, medical school at the University of Western Ontario (Canada), a Robert Jones Scholarship in Philosophy to the University of St. Andrews (Scotland), a philosophy degree from the University of Western Ontario, and a health sciences degree from Marianopolis College in his home town of Montreal, Canada. Sarah Hudson Scholle (Dr.P.H. The Johns Hopkins University) is Vice President, Research and Analysis, at the National Committee for Quality Assurance. Dr. Scholle is an expert in health services and quality measurement in multiple settings and has a demonstrated record of moving innovative measurement concepts into implementation, particularly through NCQA’s Healthcare Effectiveness Data and Information Set (HEDIS). Current measurement projects focus on cross-cutting areas where new health information technology is critical, including behavioral health care, patient reported outcomes, care coordination, and goal setting and improvement. Her experience also includes projects to test and assess the process of transformation to different models of care, including an initiative to test a patient-centered approach to oncology care. She leads NCQA efforts work to expand measures for vulnerable populations; this includes leading health equity innovation efforts for the CMS Office on Minority Health. She led an AHRQ/CMS funded Center of Excellence in Pediatric Quality Measurement, where the priorities focused on developing and testing outcome measures for adolescent depression using data from electronic health records, and currently leads a subsequent project to implement and demonstrate improvement on these measures. A number of measures developed in these projects have been included in HEDIS health plan reporting. She has also led activities in measurement related to patient-centered care and the patient-centered medical home (PCMH) and contributed to the development and implementation of surveys (such as the PCMH version of the CAHPS survey). Kurt C. Stange, MD, PhD is a family and public health physician, practicing at Neighborhood Family Practice, a federally-qualified community health center in Cleveland, Ohio. At Case Western Reserve University he is Director of the Center for Community Health Integration (CHI), which conducts collaborative Research & Development for Community Health and Integrated, Personalized Care. He is a Distinguished University Professor, and is the Dorothy Jones Weatherhead Professor of Medicine, and Professor of Family Medicine & Community Health, Population & Quantitative Health Sciences, Oncology and Sociology. He is an American Cancer Society Clinical Research Professor, editor for the Annals of Family Medicine, and serves on the Board of OCHIN, a not-for-profit health information and innovation network. At The Institute for Integrative Health he is a Scholar. He is working on Promoting Health Across Boundaries, and is active in multimethod, participatory research and development that aims to understand and improve primary health care and community health. He is a member of the Academy of Medicine of the US National Academy of Sciences. Like many at the Starfield III Symposium, he experiences the added value of primary care, and measures that matter, as stemming from complexly-related integrating, personalizing and prioritizing functions and connections that emphasize first contact accessibility, a comprehensive whole-person approach, relationship development, coordination of care in an often fragmented system, and integration of care across acute complaints and life events, multiple chronic illnesses, health promotion / disease prevention, and family and community context. Sara Toomey, MD, MPhil, MPH, MSc, is the Managing Director of the federally-funded Center of Excellence for Pediatric Quality Measurement (CEPQM) and Chief Experience Officer at Boston Children’s Hospital (BCH)/Harvard Medical School (HMS). As Managing Director of CEPQM, she has been integral to the development of multiple nationally-recognized pediatric quality measures and has continued her health services research. Her research aims to measure the quality of pediatric care, demonstrate the association between quality measures and healthcare outcomes, and develop interventions to improve outcomes. She is the co-lead developer of the Child Hospital Consumer Assessment of Healthcare Providers and Systems (Child HCAHPS) Survey. As Chief Experience Officer, she leads experience efforts at BCH and oversees measurement and improvement activities working broadly on all aspects of experience including patient experience, staff engagement, and referring provider experience. She is a practicing primary care pediatrician and hospitalist. Dr. Toomey received her BA from Holy Cross College. As a Rhodes Scholar, she received her MPhil in Social Anthropology and MSc in Comparative Social Policy from Oxford University. She completed her MD at HMS. She did her pediatric residency at BCH and at the Children’s Hospital of Philadelphia. Following her time fulfilling her commitment to the National Health Service Corps working in a federally-funded health center, she completed the Harvard-wide Pediatric Health Services Research Fellowship that included receiving her MPH at the Harvard School of Public Health. She has received the Ann E. Dyson Award for Excellence in Community Pediatrics and the HMS Young Mentor Award. Chris van Weel graduated from Leiden University in 1973 and practiced as full time family physician in the Ommoord Rotterdam community health centre until 1985. In 1981 he obtained his PhD at the Erasmus University, Rotterdam, on a practice based study of prevention. In 1985 he was appointed professor of family medicine practice at the Radboud University Nijmegen, and was head of department of primary and community care until his retirement in 2012. Since 2013 he is affiliated with the Australian National University, as (currently honorary) professor of primary health care research. .
From 2007 – 2010 he was president World Organization of Family Doctors, WONCA, after serving that organization as chair of its working party on research 1984 – 1998, and president of European region, 1998 - 2001. 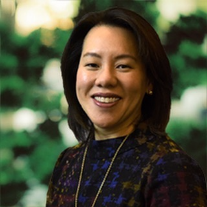 Claire Wang, MD, ScD is Senior Program Advisor at the National Academy of Medicine (NAM) and Associate Professor of Health Policy and Management at Columbia Mailman School of Public Health. She was trained as a physician epidemiologist and decision scientist, with expertise in health policy and population health. She leads the NAM’s Vital Signs initiative, which aims to catalyze the refinement and adoption of a streamlined set of parsimonious measures to provide consistent benchmark for health progress and improve system performance in the highest priority areas. As Columbia faculty, she co-directs the Obesity Prevention Initiative, a cross-disciplinary team focusing on environmental and policy approaches to preventing obesity at the community level, as well as the MPH certificate in Comparative Effectiveness and Outcomes Research. In 2015-2016, she was selected as Robert Wood Johnson Foundation health policy fellow, serving in the U.S. Department of Health and Human Services. She obtained her medical degree from National Taiwan University and her doctorate from Harvard School of Public Health. Sabrina Wong is a nurse and health services researcher located at the University of British Columbia in Vancouver, British Columbia, Canada. She is currently the Director of the Centre for Health Services and Policy Research, research lead for the British Columbia node and co-Chair of the Canadian Strategy for Patient Oriented Research Primary and Integrated Health Care Innovation Network. She leads a grant on improving the science and reporting of performance measurement in primary care-TRANSFORMATION. Her area of expertise includes: survey development, developing case definitions and using electronic medical record for research purposes, psychometric analysis and performance measurement and reporting. She is particularly interested in decreasing health disparities and healthcare inequities among those who are vulnerable because of multiple intersecting determinants of health.